An automatic scheme for breast region segmentation is presented. It is based on global automatic thresholding, region growing and merging. 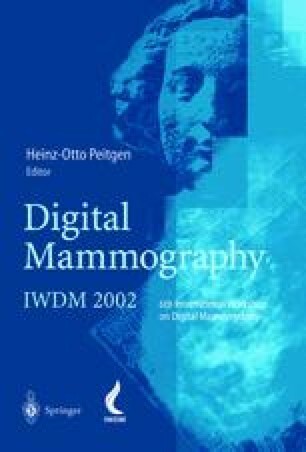 Thirty digitized mammograms including different kinds of breast parenchymal patterns were used for this study: 14 as training set and the remaining 16 others as testing set. The segmentation results are compared to those obtained manually by radiologists. The method achieved good results in the case of mammograms where the pectoral muscle was separated from the fibroglandular region. In the other cases, a fitting model was applied in order to get rid of the pectoral muscle. The segmentation results were still valid.